Type what you see in the image. Clicking the image will refresh it. When you and your keys are on opposite sides of a locked door, know that Adams Locksmith can restore access to your property quickly. Whether you are taking over a Scottsdale business property, need access to a security gate, a building or an entire work site, Adams Locksmith can repair, re-key or unlock your property's door locks fast at any time of the day or night. Should you fall victim to glued locks resulting from senseless vandalism, Adams Locksmith will arrive to make your business accessible again. 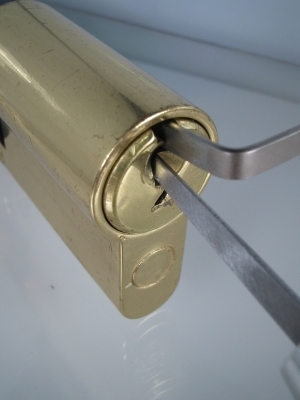 When it's time to change locks between tenants or update your Scottsdale office security plan, contact Adams Locksmith for honest estimates and flat rates. Sometimes the desire to keep our Scottsdale property safe creates some minor inconveniences. Have you ever pad locked a fuse box or some other compartment to which you don't regular require access only to discover you've forgotten or lost the combination on the one occasion when you need it most? Serving commercial or residential properties in Scottsdale, Paradise Valley, Carefree, Northeast Phoenix, Mesa and Tempe, Adams Locksmith can help you regain access to your property or increase peace of mind in your home quickly and at a lower cost. Please note, our services are not applicable to high security locks, proprietary locks or key-ways. In Scottsdale, Paradise Valley, Carefree, Northeast Phoenix, Mesa and Tempe, call Adams Locksmith at 480-734-6957 anytime for quick, friendly and skilled locksmith service. © 2009 - 2019 Adams Lock, All rights reserved.